Busy lifestyles and trends in nutrition have changed the way consumers view snacks. 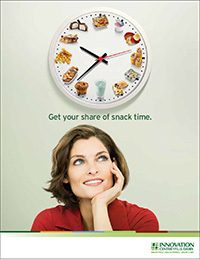 While snacks were once the domain of indulgent foods, today there is an equal demand for healthy snack choices. These fast, nutritious "mini meals" are now a regular part of many consumers' multitasking lifestyles.